You are here: Home Blog Guides & Reviews Dust Extraction: which class is right for you? Dust Extraction: which class is right for you? Whether you are working on a commercial or residential job site, dust poses a significant health risk. Especially working with large quantities of certain materials. Dust extraction is important and not just in keeping the work area clean and tidy. Small dust particles can penetrate deep into the lung tissue and become far more harmful to your airways. Having the right dust extractor for the job and being meticulous in your cleaning is highly advised, alongside wearing the proper protective gear whilst working. The first aspect to consider is the class of the dust extractor. Class L extractors are suitable for most DIY and trade jobs that don’t require a higher performance of dust extraction. Class L dust extractors are a popular choice with our customers. Class M is specifically for mineral dust, man-made wood based dust, oak and beech woods. They boast better filters, especially ideal for specialist work on residential sites with little or no ventilation. Class H is used with anything that is a known carcinogen (i.e. asbestos) and is required for more heavy duty applications. The adverse effect dust particles can have on your health shouldn’t be ignored. A 2010 study* found that the relative risk of asthma for employees exposed to wood dust is 1.53x higher than among the general population. The importance of having the correct dust extraction in place on the job site is vital for preventing potential breathing-related health conditions further down the line. 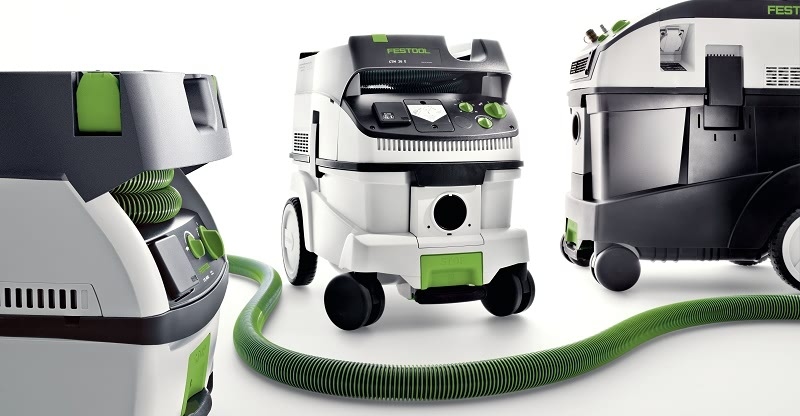 Festool are a market leading brand for dust extractors. Customers vary from workshop hobbyists to tradesmen and contractors – all looking for the best extraction machines available. 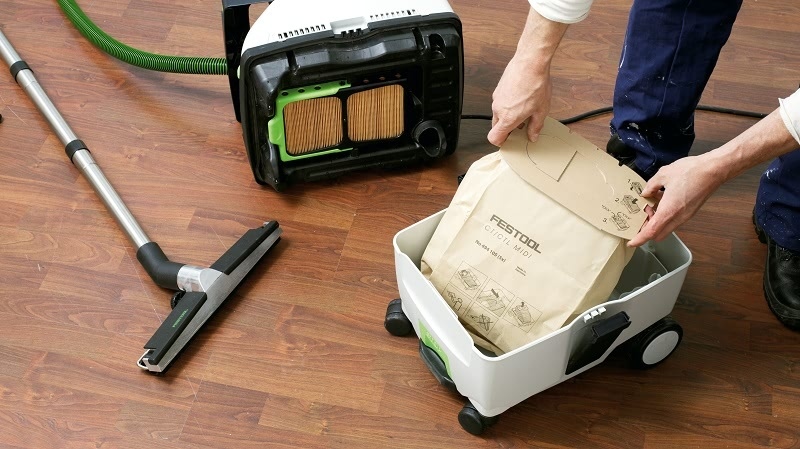 We stock a great range of Festool Dust Extractors to suit your needs. For help choosing the right dust extractor for you, speak to our knowledgeable team on 01223 498700 or at one of our showrooms. Whether you are looking for workshop extraction or a portable machine, we can help you find the right dust extractor for the job.